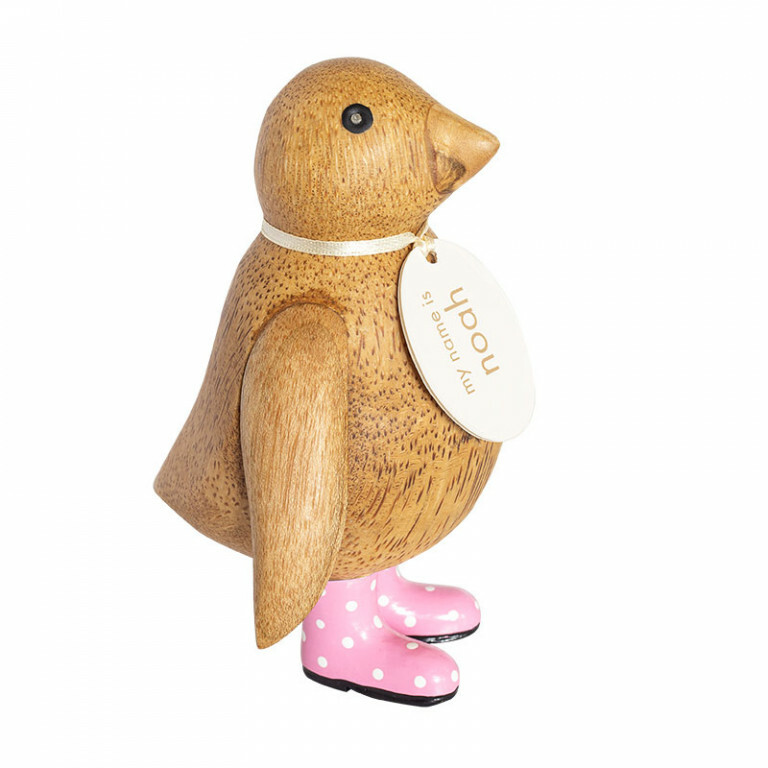 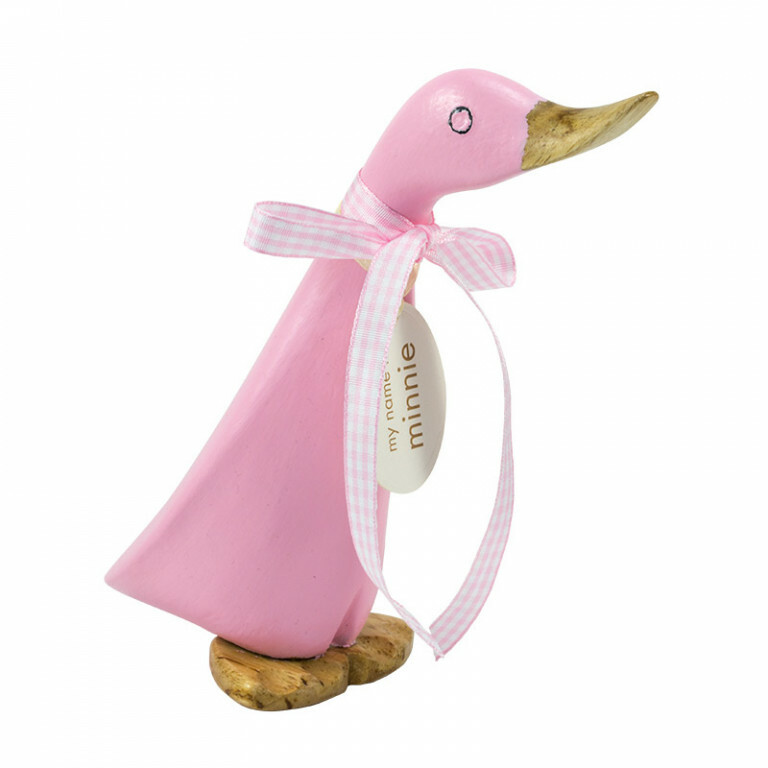 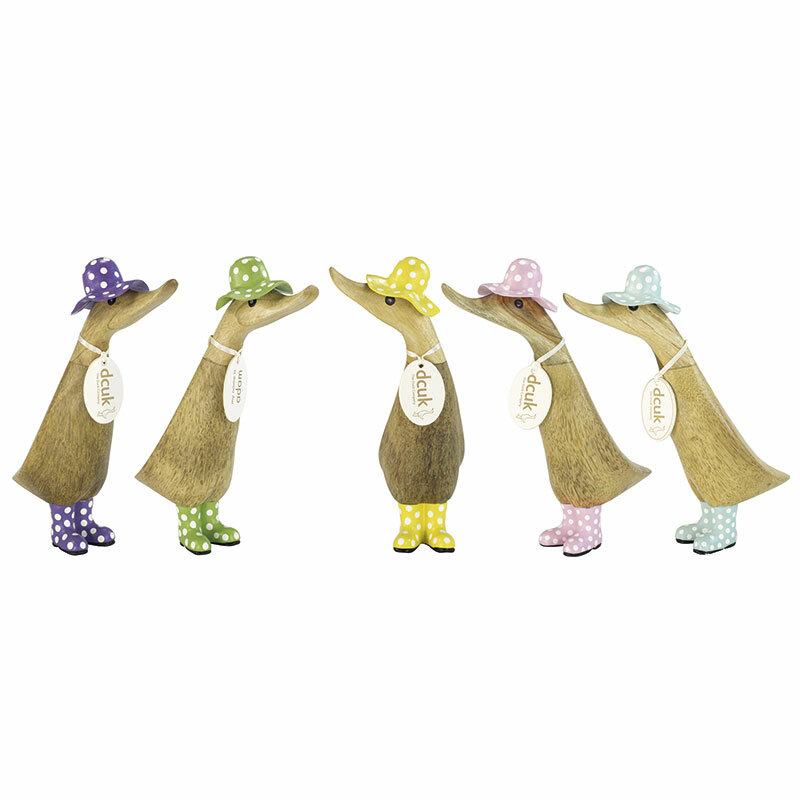 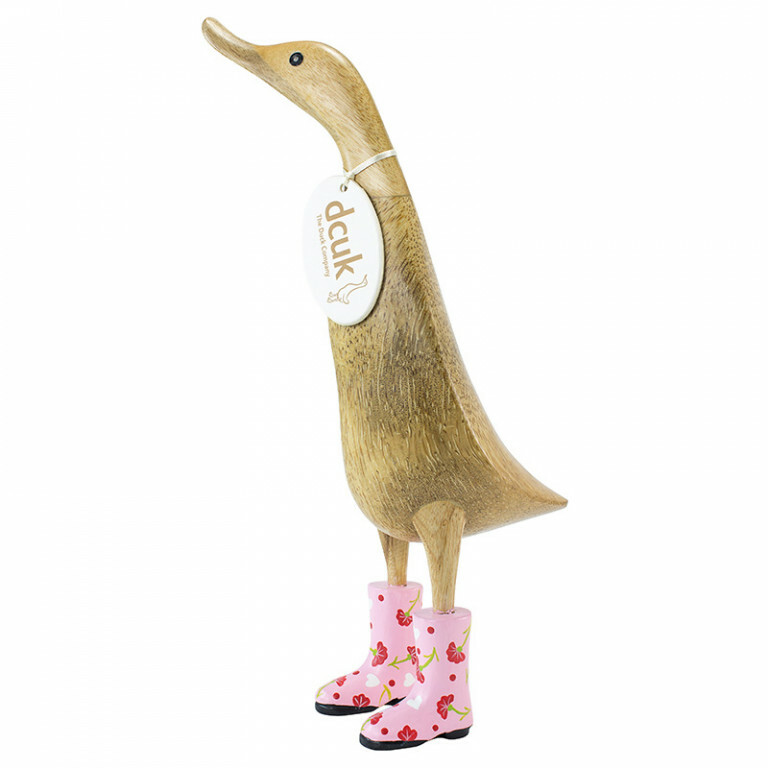 Natural Finish Duckling dressed in a pink spotty hat and matching welly boots - standing approximately 18cm high. 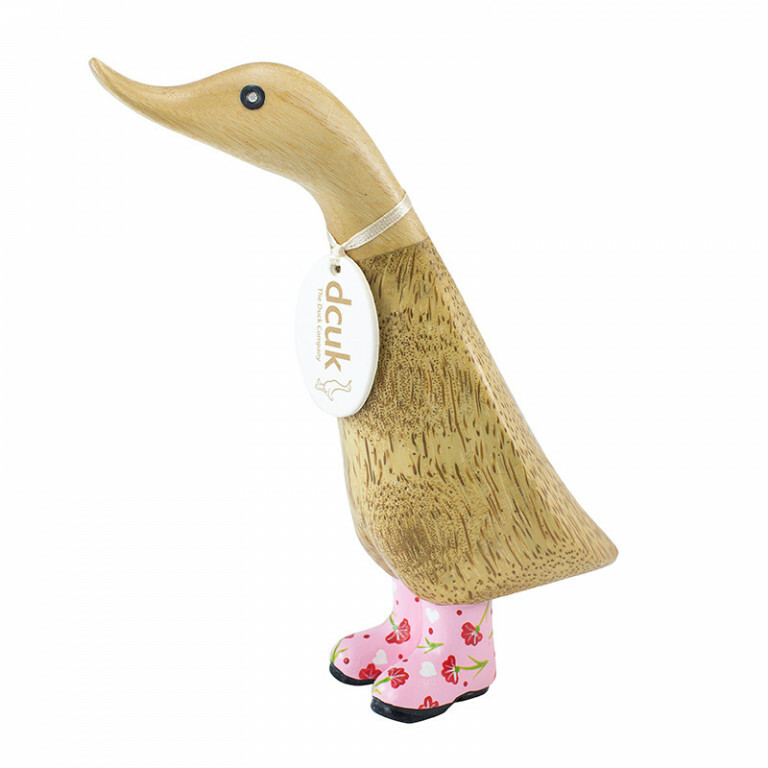 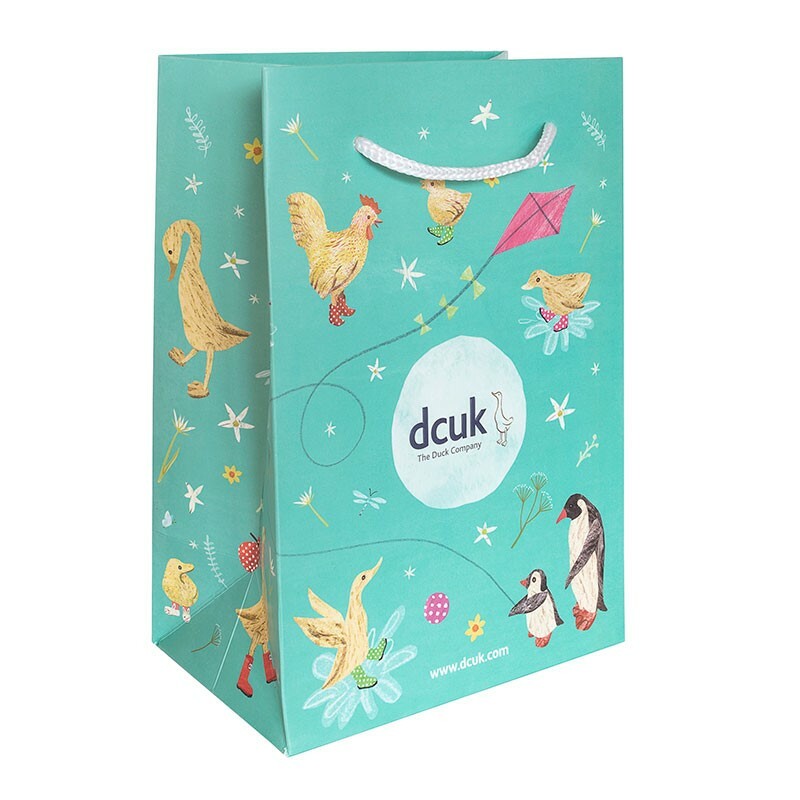 Each duckling is hand carved and painted and comes with a randomly selected name tag, with the option to personalise. 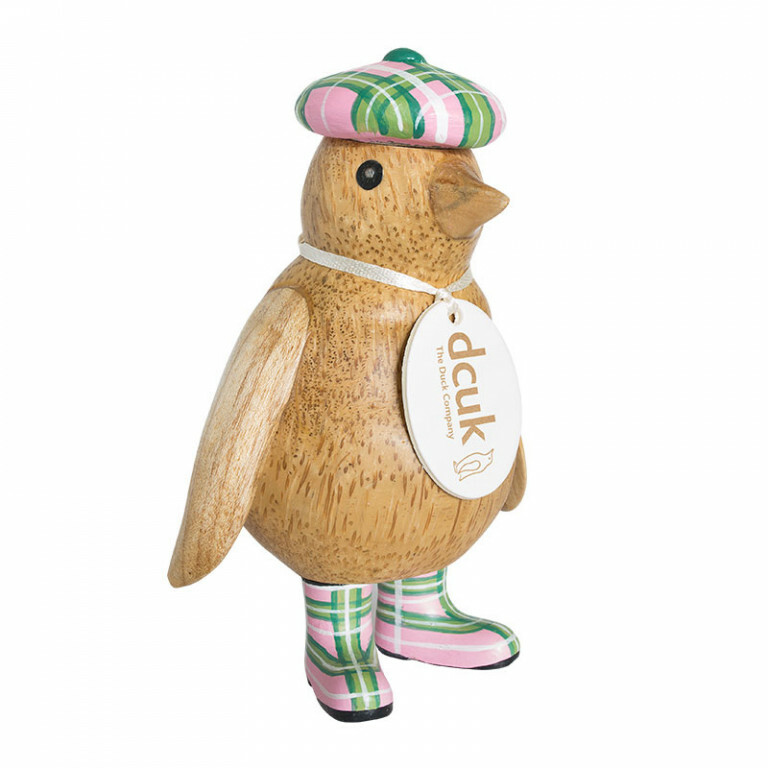 Please note, all text on tags are written in lowercase only.